On the season finale of the Meal Mentor Podcast, Lindsay welcomes back Scott and Carly to discuss maintaining a plant-based diet during the holidays! Tune in for a discussion about staying compliant at parties and family gatherings, how to deflect conversation away from the topic of diet, and planning for success regardless of your plans this holiday season. How can the meal plans come in handy when you're eating out? Why willpower is sometimes not enough. What are some safe dishes to feed to omnivores? How to realize true satiation. How can you set an attainable New Year's resolution? How to set boundaries and rules in order to meet your goals. 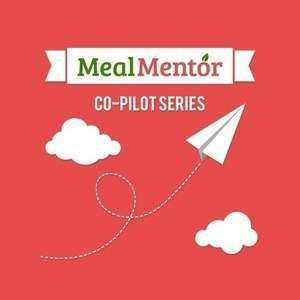 Join the Meal Mentor community for a plant-based Thanksgiving menu!